Im Alex, your professional assistant horse trainer based in Southern California-Newport Beach. 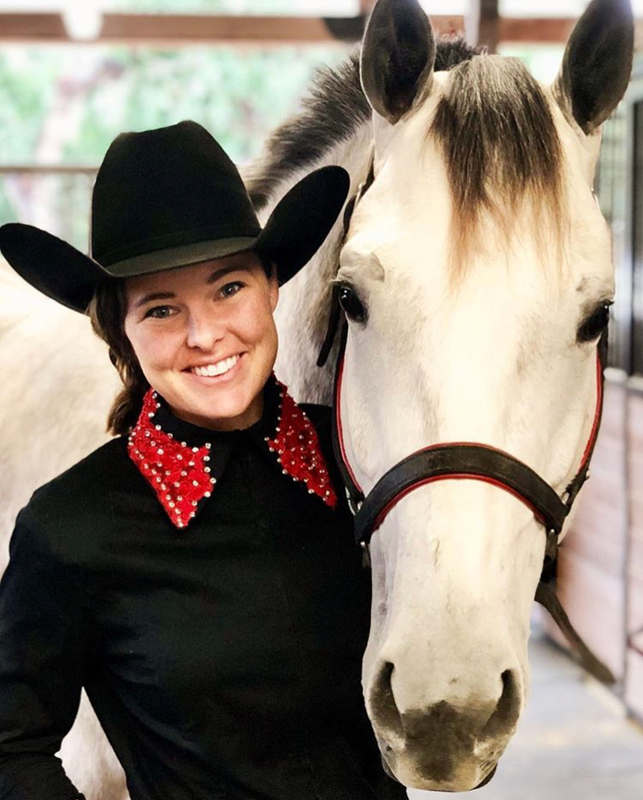 Alex brings 15+ years of equine training, stable management, and field vet tech experience to her position, with over 10 disciplines of training/competition at the professional level. Horses are her passion, constant topic of research, and the way she plans to make the world a better place. Alex is a well experienced and balanced rider. Her background is in AQHA and APHA western pleasure events and NRCHA cutting and reining. In addition she has professional experience with hunter jumpers, dressage and Natural Horsemanship. Alex has a huge heart and volunteered a lot of her time to horse sanctuaries and rescues. One of Alex’s many talents is especially dear to our heart. Alex is a certified PATH (Professional Association of Therapeutic Horsemanship) instructor, and has worked with veterans and people with special needs.